Ms. Mock received a B.Sc. in Chemistry from Ewha Womans University in 1995 and a Masters in Intellectual Property from Franklin Pierce Law Center, Univ. of New Hampshire, U.S.A. in 1998. 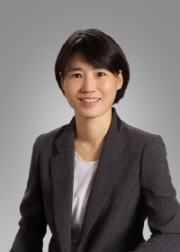 She was admitted to the Korean Patent Bar in 1998 and started her professional career at D.S. Mock Patent Office in 1996. Then she joined Y.P. Lee, Mock & Partners in 2003. Ms. Mock specializes in handling trademark and design matters for international clients. She is experienced in a wide range of prosecution and litigation with respect to trademarks and designs before the KIPO, the KIPT, the Patent Court and the Supreme Court. Also, she advises on matters of portfolio management, infringement and licensing.